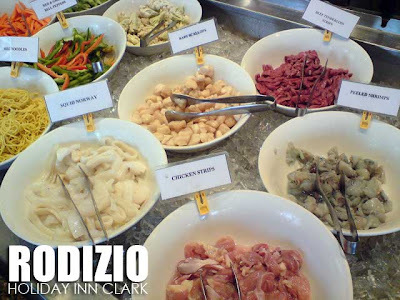 Clark and the area around it is a haven for international cuisine. 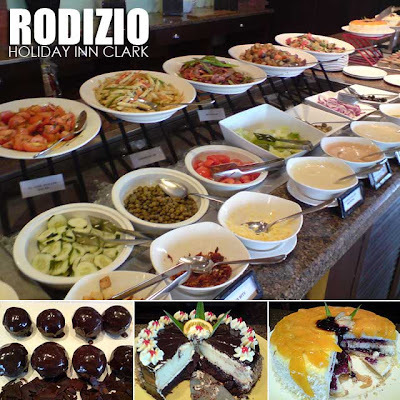 Holiday Inn Clark has three restaurants worth dining in. 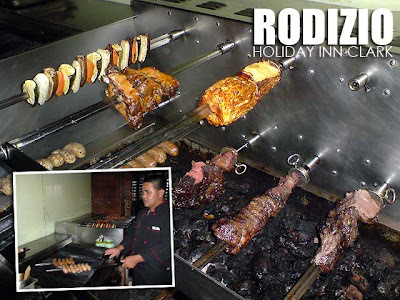 One of my favorites is Rodizio Rootop Grill, a Brazilian barbecue or churrascaria restaurant. 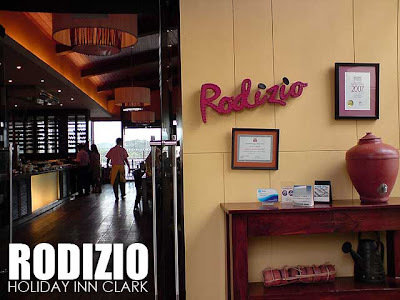 Rodizio is actually the term for the style of restaurant service in Brazilian and Portuguese restaurants where you pay a fixed price and the waiters bring the food to your table until you signify that you've had enough. While churrascaria refers to the cooking style or barbecue. Waiters come to the your table with knives and a skewer, on which are speared local cuts of beef, pork, or chicken among others. ive been here.and everything served was superb!